A common misconception exists that Disney World is reserved for children, family reunions and the occasional cheerleading competition. As published in Yahoo and NY Post, I suggest that you start in the back of the park by the International Gateway. If you start at the Main Gate attractions, you might hit the tequila bar in Mexico too soon and it will be a very short trip around the World for you. 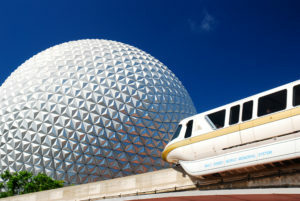 PRO TIP: Get your Fast Passes scheduled before embarking on this, so you can enjoy the park instead of waiting in line for the “Big Thrill” rides like Test Track. OK, enough talk. Who is ready to go Around the World with me? Hold on to your hats, folks… The “Happiest Place on Earth” is about to get happier! First stop? England. Let’s stop in to the Rose and Crown for a pint of Strongbow or Guinness and “lay a base” of delicious pub food. With Fish and Chips in our bellies, we stroll through the shops and take in the great cover bands on our way to Canada. Admittedly, Canada is beautiful but a little boring comparatively to other pavilions. So, peruse the moose hats, grab a Molson to go and keep walking. Oh look! It is almost time to redeem our FastPasses for Test Track and Mission: Space. We’ll hit the most intense rides before we fill up on the best food and drink the World has to offer. Coming out of Test Track, we are a little thirsty from all the screaming, no? Luckily we are next to Mexico and ready to step up our game. The permanent-twilight inside the Mexico Pavilion is a soothing oasis from the Florida sun and you can taste flights of premium tequila at La Cava overlooking El Rio Del Tiempo and market stalls. Sipping Don Julio with a spicy sangrita chaser isn’t your thing? No worries. The Blood Orange Margarita on the rocks is incredible! Anxious to get to the next stop? Let’s hit the cart for a “Mango Marg” or Corona on our walk over to Norway. Here we will see some trolls and excitement on a ride called Frozen, then snag a Linie Aquavit Glacier Shot. 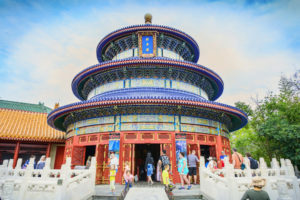 The Temple of Heaven in the China Pavilion (aphotostory / Shutterstock.com). we will find Tsingtao and the best pork egg rolls you have ever tasted. Germany is next on our trip around the “globe” and it is no surprise that we are greeted with an array of beers and spirits like Jagermeister and Apfel. Each pavilion sells a souvenir stein, but Germany is the only place where it feels right to shell out the extra money for one. Some choose to spend quality time in the Biergarten, but I like to unwind in the piazzas of Italy. Those with a Wine Walk passport or visit during the Food and Wine Festival make Italy a favorite stop. Few realize that you can taste fine Italian wines and spirits all-year-round at Tutto Gusto. This hidden wine grotto is tucked away behind the faux Palazzo Ducale and serves up wine flights alongside delicious pastas, like the standout Cavatappi Pomodoro. There are only a few pavilions to go. How are you feeling? A little laden-down from all of the grazing and guzzling? OK. Next-door is the American Pavilion where we can take in a concert in the amphitheater or learn some history in The American Adventure show. Now that we are rested and ready for another exotic drink, let’s head to the Katsura Grill by the serene water feature in Japan for some sake. 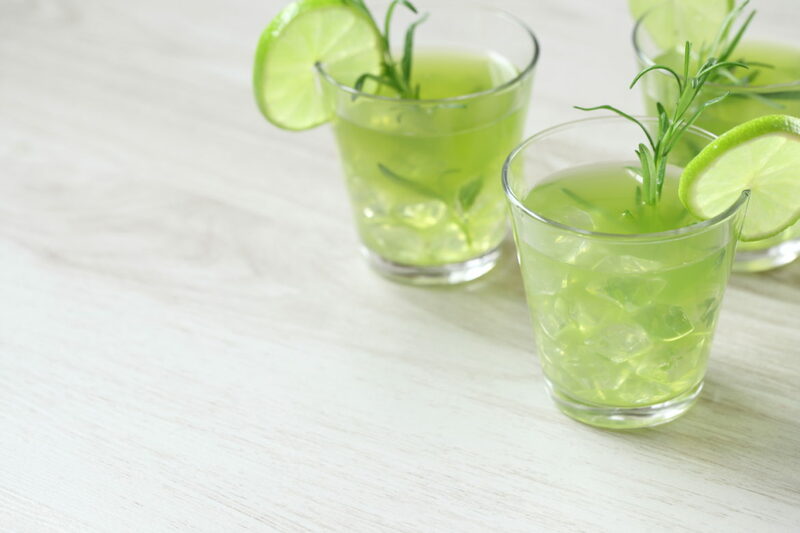 Unless you love sweet drinks, I’d steer clear of the sake cocktail cart. PRO-TIP: Buy a sake cup in the store and ask a cast member to write your name on it in Japanese. It’s free! A view of the Morocco Pavilion. 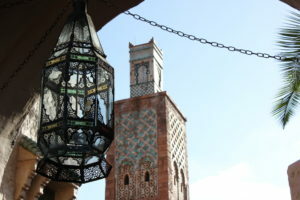 Morocco may be the most intricate and gorgeous stop in the World Showcase. If you so fancy, ask the barkeep to spike the non-alcoholic Watermelon Delight at the new Spice Road Table before wandering the marketplace in search of scarves and tagines. Alas, my dear friends, you have been a pleasure to drink with at EPCOT, but we have come to our last “country.” Here in France, we will toast our time together with champagne or Grey Goose Citron Slush and relax before the mesmerizing fireworks-and-lights show, IllumiNations at 9PM. Be sure to drink plenty of water so you don’t show up hungover next to your boss at the breakfast buffet. I am a woman with a diverse professional and creative background and some serious wanderlust. For years, I was grounded by my political career in New York City, but ever since focusing on my passion for writing I can take my work on the road. I got my start writing for Yahoo! Travel where I cut my teeth on some incredible and fun stories like going inside the Gin Tonic Bar craze of Spain. 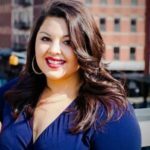 Given my long-term gig writing about curvy fashion, I was also tapped to give my recommendations on the best travel must-haves for plus size travelers that was printed in the NYPost. When I am not writing about travel or obsessing over packing hacks, I am planning trips to visit friends and run charity races across the globe. I also frequently hop flights to Europe for a rare rock show, as I am a lifelong music junkie. I often joke that my many projects led me to this “on tour” lifestyle. I love my roots in NYC, it’s never too long before I head out again. Life is too short not to take the flights, see the shows, make the connections and see the world.